Our range of bathroom rugs and mats gives you a chance to further coordinate your surroundings as you will find various colours and styles to choose from. We supply bathrooms rugs and mats from well-regarded companies such as Kleine Wolke and Wenko so you know you're receiving great quality products. Bathroom rugs are a great way to stay safe in your home as many of them feature slip resistant designs which will minimise the risk of you having a fall. This is a high quality product, also reversible, a tad expensive but still a great buy. 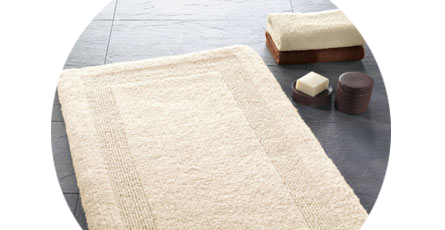 It's seems to be difficult to get bath mats (rugs) in the UK with a non-slip back. This one is a nice big size and washes well. Recommend.